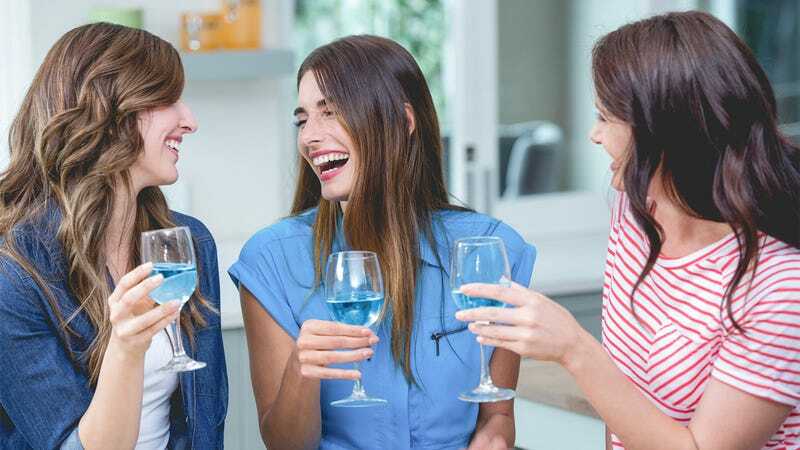 The company we were working with pulled out of our sponsored content deal at the last second, but it seems like a shame to let all these graphics we worked on go to waste—so please enjoy these brandless pictures of people happy about a blue liquid. There’s no point in telling you why these people are so happy over the blue liquid now, but we have the photo ready to go, so why not post it? If you knew the context, you’d know why this picture would make such awesome sponsored content for the company we were working with, but unfortunately, they decided at the last minute that they didn’t like the creative direction we were headed in. Anyways, here it is with no branding whatsoever. Figured we’d get some use out of it. This branded list was going to be a big payday for us, but sometimes when it comes to correspondence between a business’ marketing team and our creative team, things just don’t quite line up. We still thought this graphic was pretty neat. The image here makes a lot of sense when you know the company name and the product associated with it, but since that’s not happening, feel free to imagine whatever you want about this blue liquid! Detergent, sports drink, whatever. There’s no point in dwelling on what went wrong with our ad deal—we’d rather you enjoy these blue liquid pics! Honestly, if you own a company that makes a blue liquid, at this point we’d have no problem slapping your name on this list for a little dough. The original ask was $250 K, but we’d be willing to drop it pretty significantly. These blue liquid photos are pretty much up for grabs. However many unique impressions you want on it, we can make that happen. We won’t name names, but you’d be getting an entire sponsored content deal originally intended for a pretty big, successful corporation. Just something to think about. We put some good effort into this graphic—not that it was rocket science or anything, pretty simple stuff—just thought you might like to take a look is all. Maybe if you see a blue liquid in stores, you’ll be more likely to buy it now. Boy, the company who dropped out of the deal would be kicking themselves if that happened! Who knows though. Doesn’t matter at this point since we’re not beholden to anybody but ourselves on this one. Anyways, enjoy the photo! This is a pretty nice photo to look at regardless of whether it’s backed by a brand or not, so even though it would’ve been pretty cool for us to get that sponsorship deal, it’s a win for you either way. Oh well! Blue liquid FTW!